Established in 2006, Premier Teachers is the leading teaching recruitment agency for teachers and schools in the North East, including Sunderland, Newcastle, Stockton and Durham. Managed by an experienced teacher who has worked in schools for over 15 years, Premier Teachers' ethos has been formulated by practical knowledge gained from working day to day in a classroom, we feel this gives us the edge over our competitors. Our primary focus is working with schools in the North East to make sure we provide staff with the right mix of skills, attitude and experience to have a real visible impact from day one. 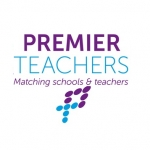 Premier Teachers are the leading teaching staff recruiters in the North East - We match schools with teachers. Premier Teachers is a specialist educational recruitment company based in Sunderland. We provide supply teachers, support staff and permanent teaching staff to schools, colleges and nurseries in the North East, including Sunderland, Newcastle, Stockton, Northumberland, Durham and further afield. We also work with SEN schools providing staff across the age ranges and in all subject areas. All our teachers are vetted to REC standards, we take pride in really knowing our teachers and client schools. We also list the latest jobs in the North East for Supply teachers, Support teachers and permanent teaching staff including schools in Newcastle, Sunderland, Stockton, Durham, York and Gateshead.